WBAI Morning Show — Our Campaigns Director Andy Morrison joins host Michael G. Haskins to discuss efforts to end predatory lending, strengthen community-based financial cooperatives, and establish public banking in NYC. Kansas City Star — Without explanation, the Consumer Financial Protection Bureau has dropped a lawsuit in Kansas it had filed a year ago against four payday lending companies. 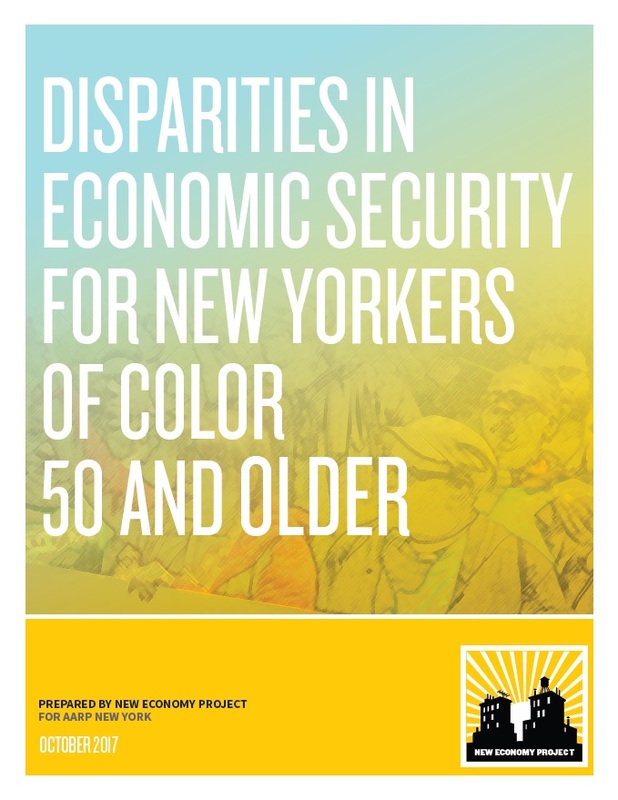 New Economy Project undertook this report, at the request of AARP, to examine barriers to economic security faced by 50+ New Yorkers of color, including immigrants. The analysis focuses on economic justice disparities statewide and in New York City, with attention also given to Long Island and Buffalo. NBC News — Our Campaigns Director Andy Morrison talks to NBC’s I-Team about New York State and City’s investments in companies whose predatory loans are illegal in New York. Gothamist — Payday loans are a poverty trap, a way to get the poor and desperate locked into a cycle of debt that traps them under an ever-increasing pile of high interest loans that they can’t pay back. Because of their nefarious nature, New York and 14 other states have banned such loans. Road to City Hall — New Economy Project’s Sarah Ludwig and Deyanira Del Rio discuss a new proposal in Albany that threatens NYS’ protections against exploitative lending. This bill would allow check cashers to partner with out-of-state and nationally-chartered banks to facilitate loans in excess of New York’s usury laws.